London, September 12, 2008 – Grand Marnier has created a great new way of drinking the luxurious and fragrant cognac and orange liqueur which fits many occasions such as after dinner, when entertaining at home or dining out. 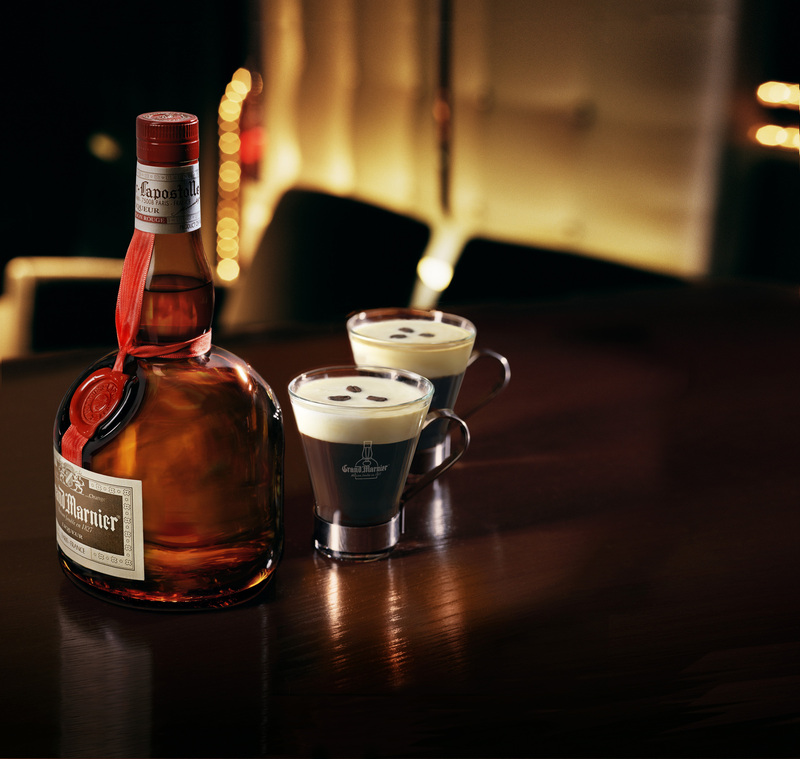 Called the Grand Café, the new serve consists of 25ml of Grand Marnier added to a good quality gourmet coffee and topped up with a float of cream. The result is a creamy, orange-coffee mélange enhanced by the aromas of fine old Cognac. This autumn hundreds of gastro bars and restaurants nationwide will be adding the Grand Café to their drinks menus. Coffee and liqueurs are a new hit with thirty-somethings who like good food and eating out. Most people who drink spirits know about Irish Coffee. In fact, research shows that 25% of them have drunk that combination in the last three months. Now Grand Marnier adds a new coffee liqueur combination. For the growing number of gourmets who are re-discovering digestifs – after dinner spirits – Grand Marnier is the classic premium liqueur and the only orange liqueur made with Cognac. Grand Marnier will launch a consumer and trade programme in the autumn focusing attention on Grand Marnier as a luxurious and original alternative to premium after-dinner drinks such as Cognac and single malt whisky. The programme emphasises that Grand Marnier is richer, smoother and more acceptable than Cognac on its own because of the sweetness and the flavours of rare tropical oranges sourced from the Caribbean. This press release was distributed by ResponseSource Press Release Wire on behalf of Voice PR Ltd in the following categories: Men's Interest, Leisure & Hobbies, Women's Interest & Beauty, Food & Drink, for more information visit https://pressreleasewire.responsesource.com/about.